We are delighted that tomorrow, the U.S. 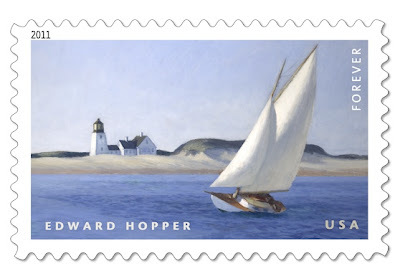 Postal Service will release a new forever stamp featuring Edward Hopper's The Long Leg painting. The stamp will be unveiled at the Huntington Library—in San Marino, California—where the original artwork resides. The painting details a boat sailing against the wind near Provincetown, Massachusetts. Of course, Hopper painted a lot here in Maine. 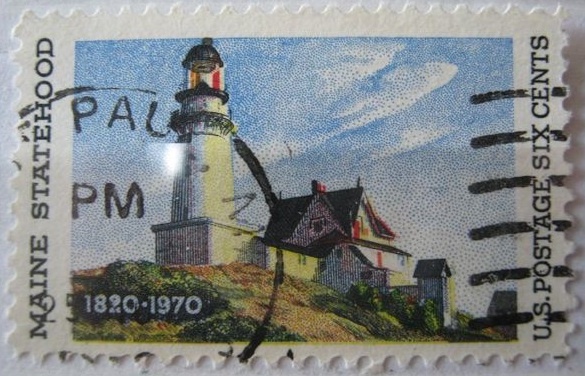 His Lighthouse at Two Lights became a 6-cent stamp back in 1970, commemorating the 150th anniversary of the state of Maine. We are thrilled that the Postal Service continues to celebrate the arts. And, we know this lovely new stamp will be a favorite of so many of our customers. How nice! I adore Hopper paintings!